Monday is the last day of the Board of Aldermen session that began back in April. Things start fresh again the very next day. Aldermen introduced 324 bills in the 41 weeks they were in session. Ninety-two percent of them passed, most without fanfare or controversy. Some, however, rose to the level of national news. Here is a look back at the aldermanic session that was. The session got off to an interesting, and possibly historic, start. At 8 in the morning on April 21, 2015, Maggie Crane, the spokeswoman for Mayor Francis Slay, tweeted that a suspicious package had closed City Hall. That's news in and of itself - but it also had the potential to complicate the swearing-in ceremonies and the first meeting of the board, scheduled to start at 10 a.m. When it became apparent that bomb and arson crews would not finish their work in time, officials moved the scheduled meeting across the street to Poelker Park. 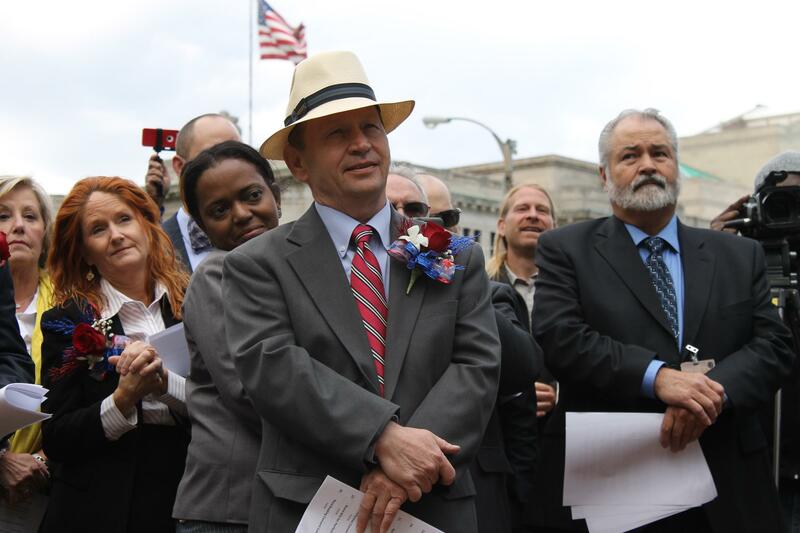 Members of the Board of Aldermen meet in Poelker Park after a bomb threat closed City Hall on April 21, 2015. The meeting, by all accounts, went off without a hitch. City Hall re-opened around 11 a.m.
Aside from the budget, first big piece of legislation landed in aldermen's laps in June. Alderman Shane Cohn, D-25th ward, carried the water for Mayor Francis Slay, who wanted to boost the minimum wage in the city of St. Louis to $15 an hour. Things seemed to be humming along nicely, if contentiously, until later that month, when Alderman Joe Vaccaro, D-23rd Ward, the chair of the committee considering the increase, abruptly canceled further hearings. 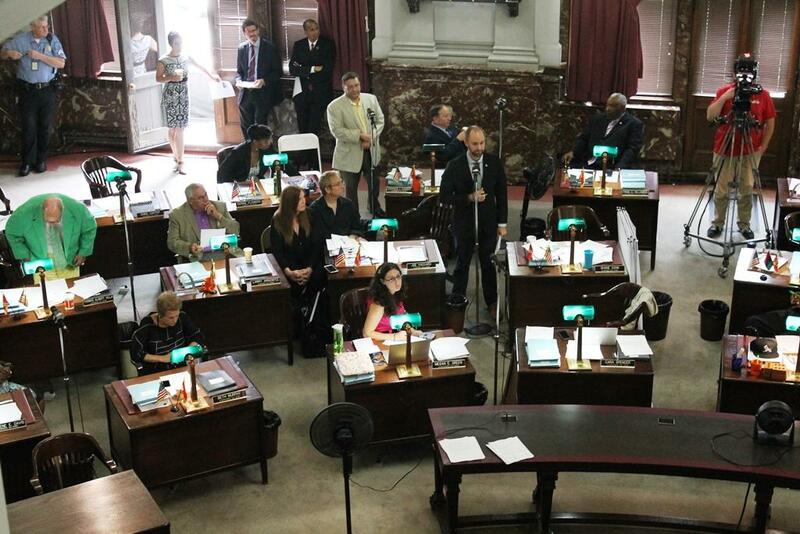 Cohn, the sponsor, used a procedural maneuver to get the bill to the full Board of Aldermen, which later approved a compromise measure boosting the minimum wage to the city to $11 per hour by 2018. On Oct. 14, just hours before the first increase was scheduled to take effect, Judge Steven Ohmer struck down the law, saying it conflicted with the state's minimum wage. The city appealed the case directly to the Missouri Supreme Court. Things had barely settled down from the chaos around the minimum wage when a second major need hit: funding for a proposed new stadium for the then-St. Louis Rams. Though the vast majority of the revenue for the proposed stadium north of Laclede's Landing would have come from private sources, the city was on tap to make payments ranging from $4.5 million to $9 million a year. Some event-related tax revenue would also be redirected. Given the variety of personal feelings about the specifics of the plan, the process or the NFL in general, getting the bill across the finish line was a political feat. The measure ended up in the Ways and Means committee, whose membership included many skeptics. 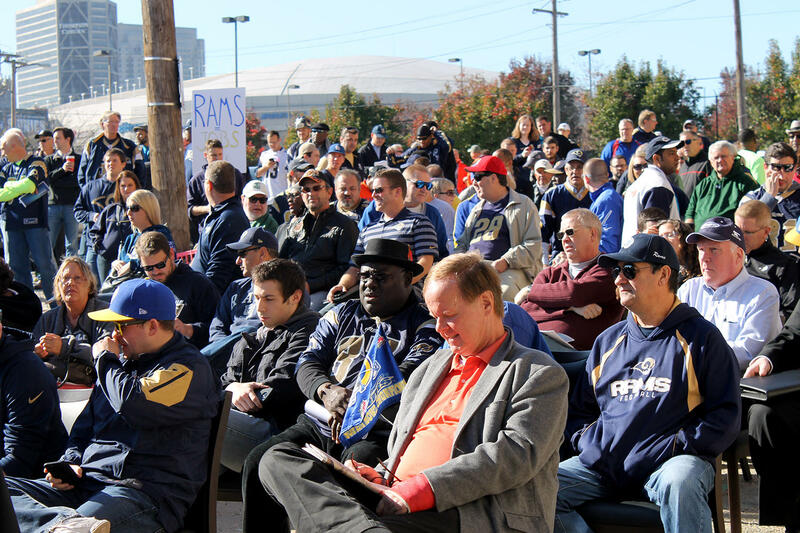 Crowds gather in the footprint of a proposed new NFL stadium for a public hearing on the city's financing plan on November 14, 2015. Impassioned debate followed impassioned public hearings. At one point, Alderman Antonio French, D-21st Ward, threatened a filibuster if Mayor Francis Slay did not deliver a comprehensive crime plan. Weeks of lobbying and cajoling ended in December, when aldermen by a surprisingly wide margin sent the legislation to Mayor Slay. The effort was all for naught. Less than a month later, NFL owners approved Stan Kroenke's request to move the team to Los Angeles. And in March, aldermen voted without fanfare to repeal the financing plan that had caused all the angst. Alderman Scott Ogilvie's measure expanding urban agriculture in the city went down in flames. But the 90-minute debate that included lessons on animal husbandry provided wonderful digital fodder. The line between cutting deals and outright bribery is a fine one in politics, and at least one alderman alleged that it had been crossed as the board wrestled with the stadium financing bill. 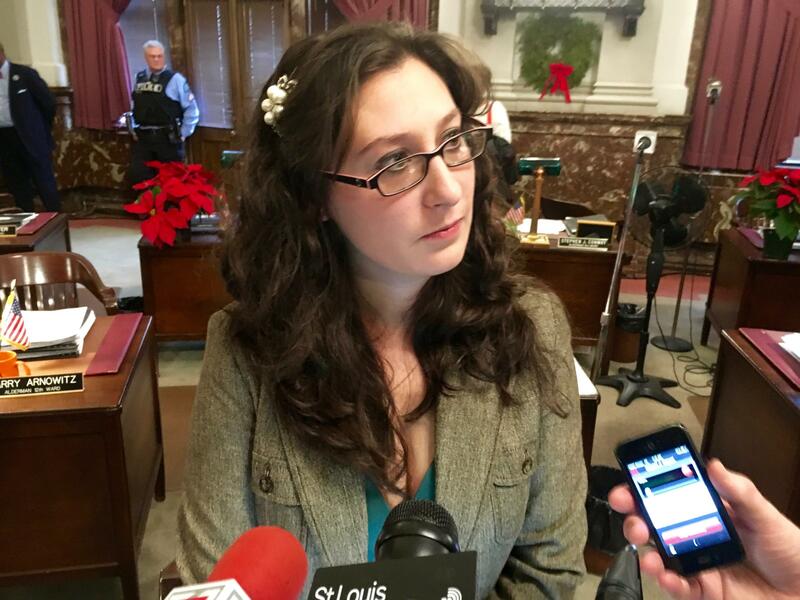 “I have a person who is very close to me who was offered a political favor if that person could get me to come off my stance in opposition to the stadium,” Megan-Ellyia Green, D-15th Ward, told reporters on Dec. 11, the day after the financing plan cleared its first hurdle. "I imagine if that is happening to me, it’s happening to others at the Board of Aldermen.” To support her allegations, she pointed to comments made by Alderman Sam Moore, D-4th Ward, that stadium proponents had offered him benefits in exchange for a yes vote. Federal and local law enforcement investigated, and found no actionable evidence for Green's claims. It was her continued insistence that corruption and bribery had occurred that irritated her colleagues and prompted the Personnel Committee to consider launching an investigation. Then, in January, aldermanic president Lewis Reed went on the Bob Romanik show and sat nearly silently as the controversial radio host lobbed vulgarities at Green. The tirade became public in February, just as the committee, which Reed chairs, was gearing up to hold hearings. Green eventually apologized to Moore, saying she had not meant to attack him personally. But she refused to apologize for her comments about the way the board as a whole conducts its business. It remains to be seen if any tension carries over to the next session. Reed also apologized for not standing up to Romanik. But his failure to immediately condemn the remarks may have complicated his expressed desire to run for mayor in 2017. Lawmakers went big in May, sneaking a $180 million bond issue onto the August ballot with no time to spare. A property tax increase of about $100 a year for most homeowners would have funded a wide variety of capital needs. But the measure ran into massive headwinds in August. Days before the election, a St. Louis judge ruled that city residents had no right to vote on public financing for the proposed new NFL stadium. 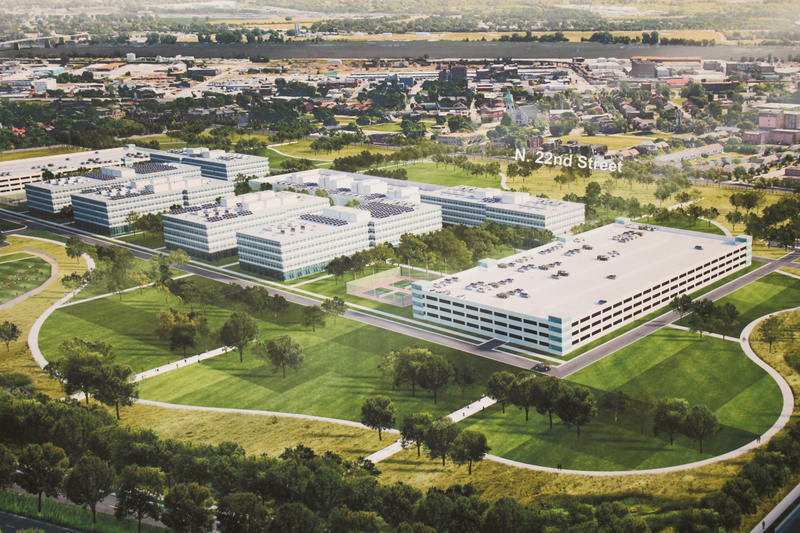 Aldermen had just finished debating and passing legislation that used city property to back a $20 million loan for land purchases in the footprint of the National Geospatial Intelligence Agency site. A campaign backed mostly by Mayor Francis Slay wasn't enough to get the two-thirds majority needed. For more than a year, St. Louis Police Chief Sam Dotson and Mayor Francis Slay have been looking for ways to put 160 more officers on the street. A funding plan that included tax increases and money from red light camera fines got a hearing in May. And then it stalled. "I just didn't have the support of my committee," said Alderman Donna Baringer, D-16th. "I need to readdress it with the actual committee. I need to sit down and see how much money it would raise, and would it solve the problem that’s currently the issue which is the recruiting of officers and pay." Jeff Roorda, the business manager of the St. Louis Police Officer's Association, said the Board of Aldermen needs to figure out its priorities. "They have plenty of time to get things done and plenty of money to spend on their special pet projects, but they don’t have any interest, energy or funds to devote to the crime-fighting mission of the St. Louis Police Department," he said. Aldermen Lyda Krewson, (D-28th Ward, and Scott Ogilvie ,D-24th Ward, made a big splash last June when they introduced a series of bills that would have massively reformed the city's business code. But Mavis Thompson, the license collector, pushed back hard, saying efforts to cut the license fee for small business would cost the city $1.3 million. In the end, Krewson and Ogilvie were only able to get some home businesses a little relief in the permitting process. Krewson said that she had not yet decided whether to try again in the new session. Krewson also captained the effort to change the name of the 600-foot-long street, which curves around the Confederate Monument in Forest Park. It was part of a broader, collective look at tributes to the Civil War following the June 17th racially-motivated shooting at Emmanuel AME Church in Charleston, S.C. Her bill never got a hearing. In December, Mayor Slay announced that he supported recommendations to move the Confederate Monument out of Forest Park. Human Services director Eddie Roth said work was underway to raise the $130,000 it would take to dismantle the statute to move it to storage. In March, Paul McKee unveiled, once again, plans to start his Northside Regeneration Project, announcing a grocery store and gas station at the foot of the Stan Musial Veteran's Memorial Bridge. 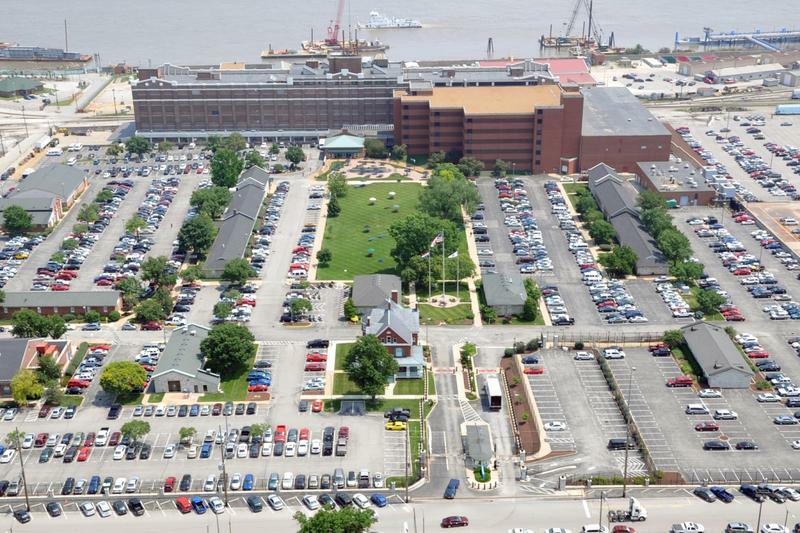 When the National Geospatial Intelligence Agency announced that north St. Louis was the preferred sight for its new western headquarters, McKee finally had the anchor tenant he said he needed to make the project work. The board has in the past authorized $390 million in tax increment financing for McKee. But he has to come back to the aldermen every time he wants to access a portion of those incentives. Some members are deeply skeptical of the developer's ability to do anything on the north side. In the past, McKee has had enough support, but aldermen eyeing a run for mayor may be starting to consider a broader constituency. 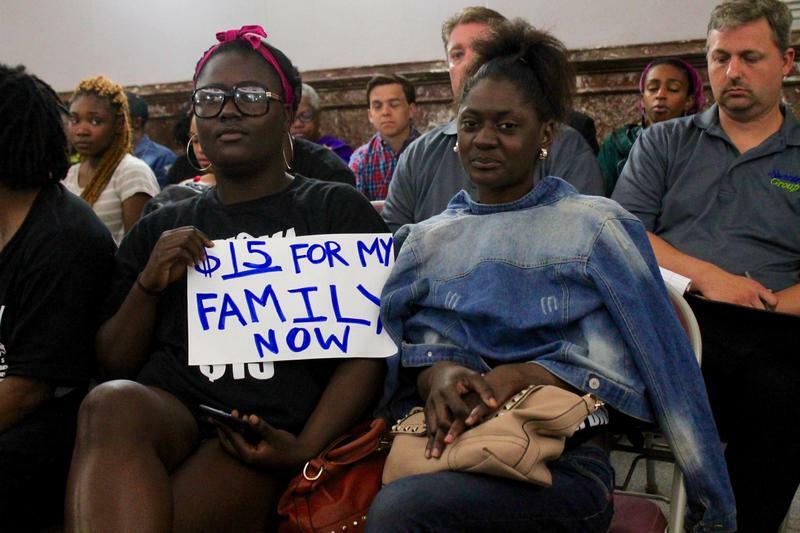 Low-wage workers in St. Louis will not be getting the raise they expected on Thursday. Judge Steven Ohmer ruled Wednesday afternoon that a law boosting the city's minimum wage to $11 an hour by 2018 violated Missouri's Constitution because it conflicted directly with state law. The first increase, to $8.25 an hour, was to take effect at midnight Wednesday. Legislation authorizing the city of St. Louis to borrow as much as $20 million to buy land to keep a major employer within the city's borders narrowly squeaked through preliminary approval on Thursday. The Board of Aldermen approved the measure Thursday by a 13-11-1 vote amid confusion about the final outcome. It needs one more vote before going to Mayor Francis Slay's desk. 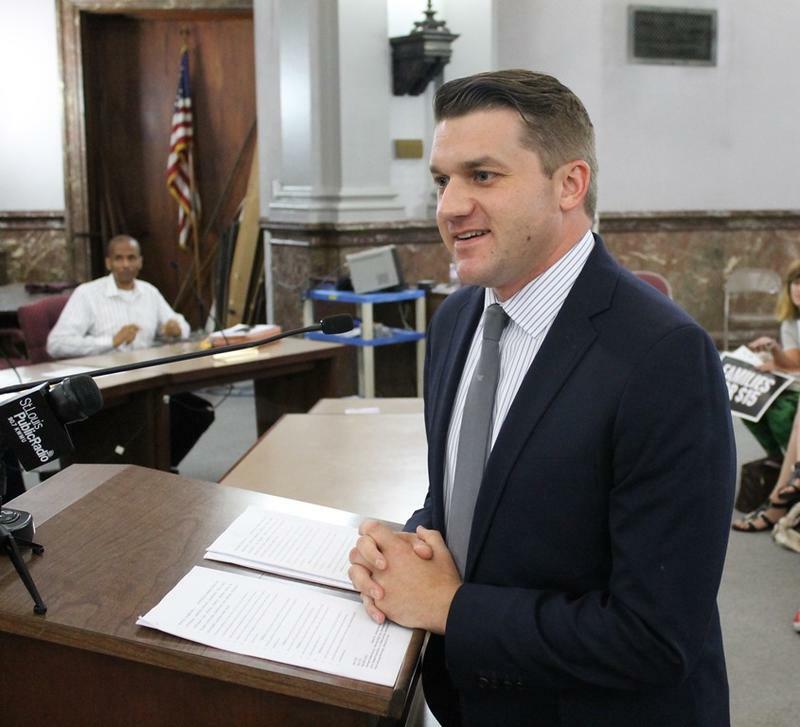 With the St. Louis Board of Aldermen’s Ways and Means Committee expected to vote on a stadium financing package on Thursday, Alderman Chris Carter is getting pressure from unusual sources – like the general manager of his gym. On the Trail: Can a vetoed bill have legal significance from beyond the legislative grave? Trying to best describe the legal status of local minimum wage increases is like wrapping your arms around an eel. That’s because discussions around St. Louis and Kansas City minimum wage hikes have proceeded under the cloud of a now-vetoed bill, known as HB 722, that would have banned local minimum wage increases. And legal arguments around local wage hikes get decidedly slippery depending on whether that bill goes into effect or dies on the vine.